We now have our first 2011 CTS Coupe here at Red Noland Cadillac! After a much anticipated wait our first Coupe and CTS Coupe V rolled off the truck last night. We were able to get them through the shop today and have the V sitting on display on our showroom floor. What an absolutely beautiful vehicle this is! Our First V is Thunder Gray Chromaflair with Ebony Interior and Saffron Inserts! This vehicle was a surprise to us we were not expecting it to come in so as of today the vehicle is not sold. We also got in two Coupes that are ready for delivery. Be the first kid on the block to have one of these in your driveway! It is getting close to that time again, the 2010 British Motoring Festival is just around the corner. This years event will be held October 2nd 2010 from 10-2p.m. 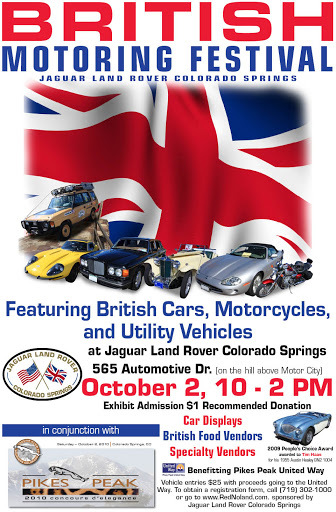 at Jaguar Land Rover of Colorado Springs. If history repeats itself this will be a super event with an awesome turnout. Please contact us at 719-302-1000 for more information and don’t forget to save the date. 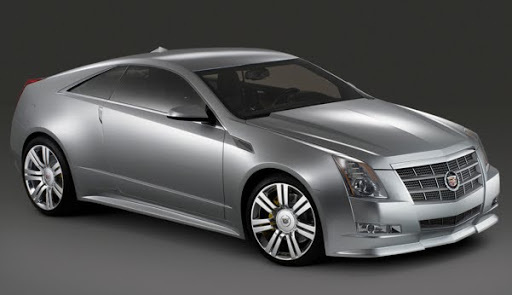 Lansing, Mich. – Cadillac’s Lansing Grand River Assembly Plant has begun production of the 2011 CTS Coupe and started shipping models to U.S. dealerships ahead of schedule. The all-new CTS Coupe has a starting price, including destination charges, of $38,990. The CTS Coupe joins the CTS Sport Sedan and CTS Sport Wagon, an award-winning line that has been named to Car and Driver’s 10 Best list for three straight years. 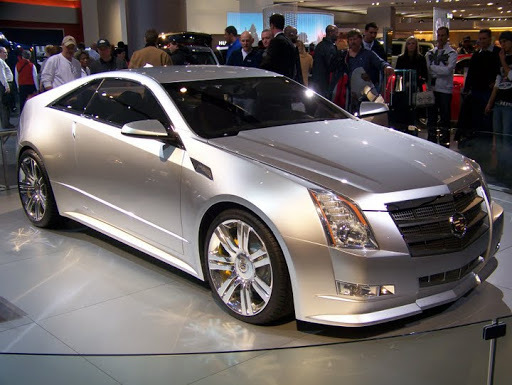 All three CTS models and the Cadillac STS sedan are made at Lansing Grand River Assembly. Lansing Grand River Assembly team members spent months preparing for the launch of the CTS Coupe to ensure the highest levels of quality, said Plant Manager Scott Whybrew. Lansing Grand River Assembly topped all U.S. plants in the 2010 J.D. Power and Associates Initial Quality Survey. The CTS ranked among the top 10 of all vehicles in the quality survey. While the CTS Coupe joined the existing CTS family, the Coupe’s dramatic design called for many unique parts and processes. The Coupe has a lower roofline, shorter overall length and wider track, providing a more aggressive stance and athletic profile. Lansing Grand River team members ensured the CTS Coupe had the same high standards as the other Cadillacs built at the plant, Whybrew said.